Save a lot of time and work with this quality moulding. Features: Multi layer fiberglass cloth and polyester resin layup. It can be used on fiberglass or wood versions. 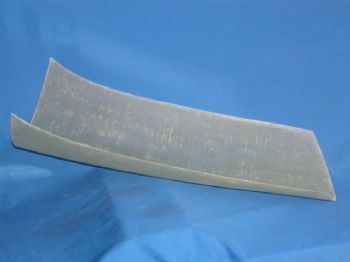 Specifications: Parts in set: 1 belly pan Belly pan is made to fit bottom center section of P-47 wing.